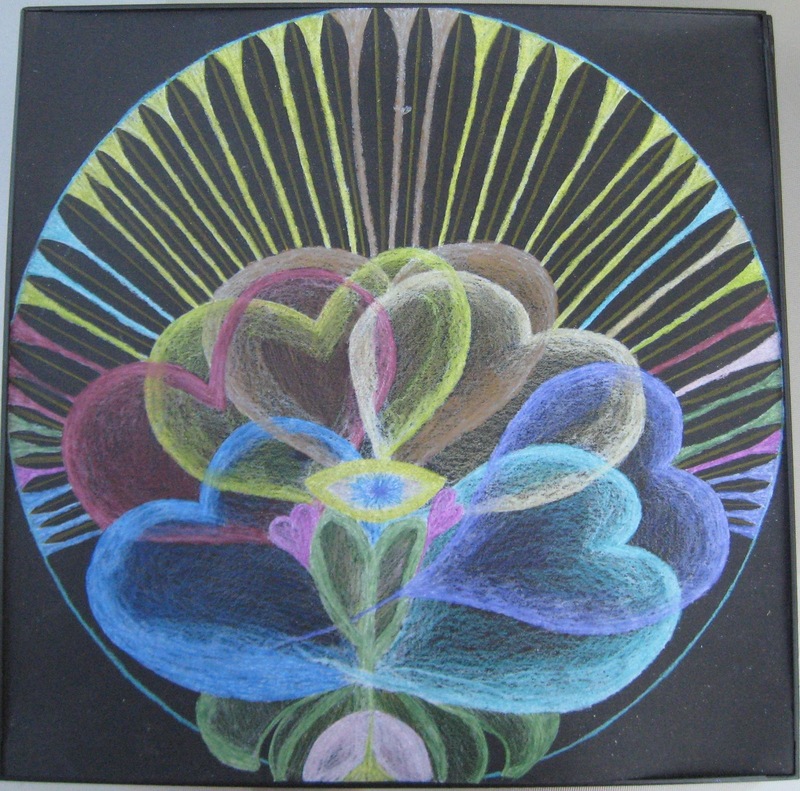 Mandala Art Archives - Art Matters! Prepare For Plein Air This Summer with Incredible Savings! Over the river, through the woods, or right here at home in the beautiful Rogue Valley, inspiration is sure to follow wherever you may roam. Whether it’s sketching the daily grind of a local coffee shop or capturing the highlights of your camping trip on canvas, Central Art has your best artistic interests at heart. Maybe you’re just getting started, and don’t know your palette knife from your pochade box; we’ll help you climb that mountain. Taking your act on the road? The possibilities for portable art essentials are endless, but never fear – we’ve thought of everything, and can prepare a “survival kit” just for you! Take the stress out of planning a plein air getaway knowing Central Art has your creative challenges covered, from street lights to state parks! P.S. Feeling social? There’s an app for that! Share your art adventures with us on Instagram! Be sure to tag @centralart1 in your post, and use the hashtag: #rogueartadventures . We look forward to seeing what you create in the places that inspire you! Schmincke has been developing and manufacturing its Horadam line of watercolors since 1881, and the company is now owned by the fourth generation of the original family. They are the only watercolor manufacturer in the world that uses the exact same formula for their tube and pan colors. The pan colors are consistent all the way to the bottom, and they last and last! New Wave Grey and TIMBr Pad Disposable Palettes feature neutral toned sheets that make it easier to mix accurate colors and gauge values. The sheets are glued on three sides, so they won’t blow away while you’re painting outdoors. Plus, the covers are scored, which makes it easier to tear them off or fold them back without messing up the rest of the pad. Rembrandt pastels are made from the purest pigments and mixed with the finest quality kaolin clay binder. No pigments containing heavy metals, such as cadmium, lead, and cobalt, are used in production which ensures that the pastels have no hard bits or sharp edges. These pastels are harder in consistency than many soft pastels, allowing for more control and definition in your painting. Every detail of the Ampersand FloaterFrame has been designed and engineered to deliver a simple, all-in-one framing solution that protects your artwork while giving it the finished look it deserves. Made with premium hardwood, the Ampersand FloaterFrame features precisely constructed reinforced corners, a wider drill base, and pre-drilled countersunk mounting holes. All mounting and hanging hardware is provided to quickly and easily attach your artwork to the frame, including mounting screws, screw eyes, a hanger, picture wire, and bumper pads. Catch These Deals While They’re Fresh! The Portable Painter Watercolor Palette is the perfect hands-free travel palette for watercolor painting. With a unique design created by an experienced watercolor artist, it’s packed with special features optimized for plein air painting. It’s compact, too — when folded, the palette is about the size of a smartphone (6″ × 3¼” × 1½”). Scoot on over to Central Art for our annual Sidewalk Sale this summer and find unbelievable deals on overstock, discontinued items and even storage and fixtures! Word on the street is that you won’t want to miss this sale event! March Madness! Save BIG During Our 37th Anniversary Sale! No matter where the muse takes you in 2018 – from the familiar confines of the studio to the beauty of nature and beyond – let Central Art be your creative passport! When fresh inspiration is needed, look no further than our wide selection of art instruction and technique books to give you a head start. Brushes on your bucket list? Choose just the right fit for your suitcase with a beautiful assortment of brushes in a variety of styles and travel options. If journaling is your jam, you can never have too many sketchbooks! Fortunately we have all sizes, formats and weights of paper to suit whatever medium makes you happiest. Adding a few words of wisdom to your work is an art form in itself – why not go “old-school” with some dip pens and a bit of ink and rediscover the lost art of calligraphy? Central Art is your Hand Lettering Headquarters! The list goes on and on, and so does your drive to create! Nobody knows that better than us. Now is the time to seize the canvas and voyage fearlessly into an artistic adventure, so what are you waiting for? Come see us and begin charting a course today! In 1994, Ampersand Art Supply began their mission of reviving the time-honored tradition of panel painting with the creation of Claybord, the very first coated painting panel. Over the years, Ampersand has added many wonderful painting panels with unique surface coatings suitable for all media. Caran d’Ache is the pen name by which French illustrator, Emmanuel Poire’, achieved worldwide renown in the 19th century. The choice turned out to be a salient one, since “karandash” is the Russian term for “pencil” and in turn comes from the Turkish root “karat ash” which refers to black stone – the origins of graphite. In 1924, Arnold Schweitzer, the founder of a Swiss pencil factory, decided to use the name of the famous illustrator, Caran d’Ache for his business. Crescent is headquartered in Wheeling, Illinois, and is a private, 5th generation family-owned company founded over 100 years ago. Crescent continues to innovate and develop new, on-trend products to meet the changing needs and interests of artists and framers globally. Crescent art material products have been selected by students and professionals alike for decades. In Osaka Japan, the company was formed just before the turn of the last century, and took the name of European artist Hans Holbein in the 1930’s. From that time, Holbein’s presence has been significant in Southeast Asia, North America, Australia and Europe. Holbein is unique in the art material trade because they do not produce any entry student quality color products. Each of the color lines is adapted to meet the special requirements of the professional artist. Check Out These Awesome Savings! For over 70 years, Pentel has supplied the world with the highest quality products. Pentel is the only writing instrument company to receive the Deming Award for recognition of the highest standard of quality. Some of Pentel’s industry-leading products have been in production for many years, and remain in demand today, such as roller ball pens, graphite leads and mechanical pencils. Many new Pentel products will no doubt possess equally distinguished longevity. Stabilo is a family run company that has been making writing products for more than 160 years creating pens that are trend-conscious, inspiring and visionary. The diverse products from Stabilo make the lives of people a little more colorful each and every day by delivering quality and implementing innovative designs into each and every pen. 3-Day UArt Pastels Workshop Starting Friday, April 27th, 2018! Time: Friday April 27 10:00 am-4:00 pm, Saturday April 28 10:00 am -4:00pm, Sunday April 29 10:00 am -4:00pm Price: $350.00 Students: 6-12There are many benefits of using an underpainting on UART Premium Sanded Pastel Paper. The type of underpainting depends on the subject and desired end effect. In this workshop we will explore several options. There will be a demo each morning using a different medium as an underpainting. There will also be an option to ‘paint-a-long’ from the same reference photo as Susan to really get a step-by-step approach of her technique from beginning to end. You will receive individual instruction tailored to your specific needs, level and goals as well as a constructive critique of work done in the workshop as well as any work you bring along. Today I instructed eight year old Emma on making a pressed flower pendant in the “Mountain Lake” design. She is one of the students in the Dharma School Program in the Buddhist Center where I teach. She had seen a pendant I had made for one of the others teachers at the center and ask me if I would teach her how to make one. I had observed her for a year doing various art projects and decided that she had the focus and patience to be sucessful at this project. When we began the project I showed her pictures of breaking down the project in three steps. She said she understood this and was ready to proceed. I explained the various gluing proceedures and as she started the first step she utilized these methods using her original way of gluing and placing the delicate botanical material using straight pins and tweezers. When some of the botanicals broke Emma started again until she had placed the botanicals without breaking. Many adults I have worked with were not able to hold the focus in the way Emma did. She wanted to add the small details of the bushes and trees which I could have side-stepped. She completed the bottom third of the picture and then I showed her how to place the picture in glass in she inserted it into the memory frame. Together we added the jump ring and put it on a suede chord. I talked later in the day with one of my adult flower art students and she said she didn’t yet have the courage to tackle a pendant. Emma taught me a valuable lesson on how intention, focus and determination led her to achieve her goal. I also learned from working with her that I could simplify the project for some children who do not yet have her ability to focus. Today I worked on making print cards of two designs for a customer. 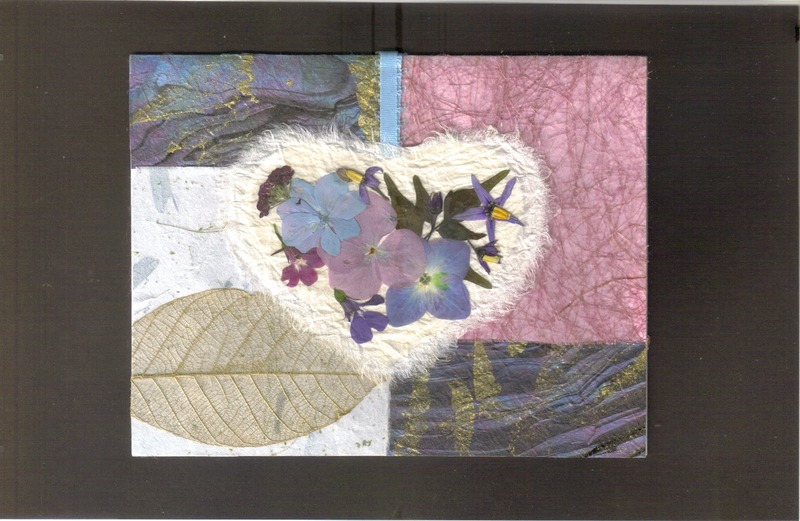 One design is of a bookmark card of pastel colors and one is a Holiday design. She will use the Holiday card prints for her Christmas cards next year. Contact me if you are interested in print cards of a design you see. This one day workshop focuses attention on creating mandalas to facilitate letting go of anxious thoughts, false concepts, wants, and desires in order to experience more peace of mind and happiness. Participants will have the opportunity to examine their attachments and to release fears and expectations of loss that cause suffering such as fear of illness, death and dying. When: April 20th, Sat., 10 a.m.-5 p.m.
A $10 reservation fee is requested at the time of registration to hold your place in the group. Facilitators: Diane Tibbitts, M.Ed, LPC and Janet London, M.ED. Diane has 37 years of experience in counseling persons of all ages in how to reach a deeper level of healthy awareness and integration of self. 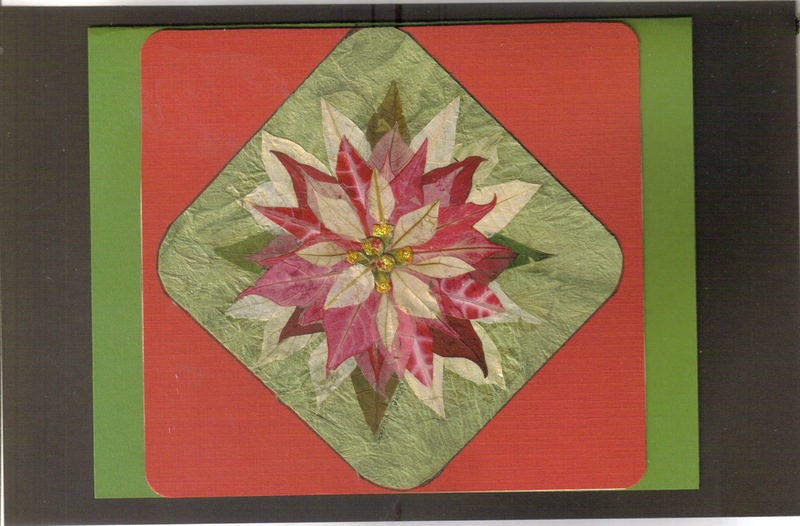 Janet has been facilitating mandala workshops and classes in the Rogue Valley for the past eight years. Bring a sack lunch and Prismacolor pencils with 2 white pencils. Paper will be provided.